Group One winning entire Jon Snow will face a strong field when he contests Saturday’s Gr.1 Makybe Diva Stakes (1600m) at Flemington, with Cambridge trainers Murray Baker. Andrew Forsman hoping the son of Iffraaj can show solid progression from his first-up fourth in the Gr.1 Tarzino Trophy (1400m) a fortnight ago. “Obviously he is second-up off a big first-up run,” Forsman said. “It’s very similar to last year in that he is second-up at a mile. He is a stayer probably looking for further and you would expect him to be a little bit dour. Jon Snow finished eighth behind Humidor in last year’s Makybe Diva Stakes, which proved a springboard to success in the Gr.3 JRA Cup (2040m) followed by a Group One placing in the Caulfield Stakes (2000m). “He’s a year older, so he is a bit more mature physically and he is certainly a more experienced traveler, so he has settled in really well over there,” Forsman said. Jon Snow is one of nine Group One winners in the field of with Darren Weir saddling a quartet of runners including reigning champ Humidor, and will bid to win his third successive Makybe Diva Stakes following the win of Palentino in 2016. Despite the quality of the field, Forsman does not believe there are too many natural front-runners and expects Jon Snow and rider Stephen Baster to go forward from barrier 4. “He naturally just jumps and puts himself in the race,” Forsman said. “He will be handy enough and I don’t think there is a heap of speed on paper, so that should suit him. With a team of five including Bonneval, Vin De Dance, Zacada, Rubira and Jon Snow already based at Flemington, the Baker-Forsman Melbourne team will grow even further in the coming days with a pair of smart three-year-olds set to travel from New Zealand this weekend. 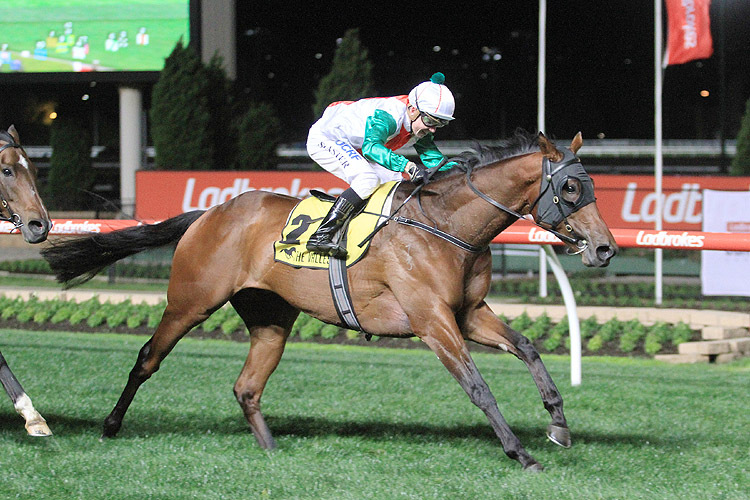 “Peaceful and Botti are going to Melbourne on Sunday and they will both campaign there,” Forsman said. “Ole Ole will run in New Zealand next week. Hopefully the weather holds, and we can get a line on him on a reasonable track at a mile.